Vancouver police are investigating after a 63-year-old man was struck and killed by a TransLink bus in the Downtown Eastside Friday evening. 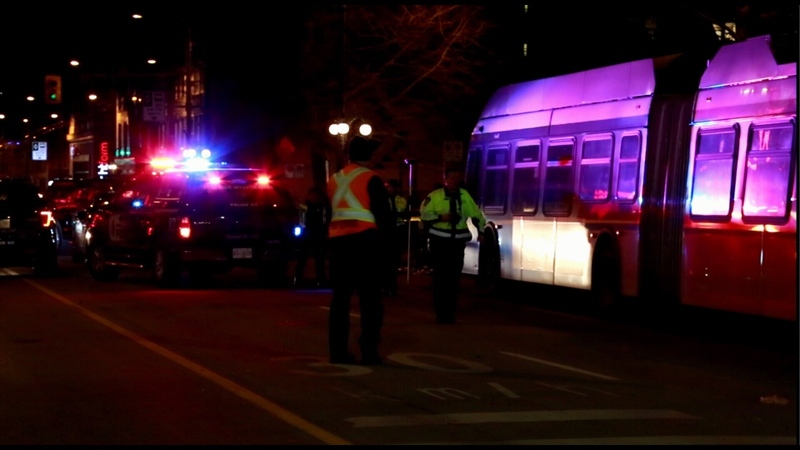 Police say the incident happened shortly before 5:30 p.m., as a bus was pulling away from a stop on West Hastings Street at Carrall Street. West Hastings Street was closed between Abbott and Carrall streets for several hours as police conducted their investigation. Police say speed does not appear to be a factor in the crash. TransLink confirmed to CTV News that one of their buses, a number 16, was involved in the incident. The man’s death is the third pedestrian fatality in the City of Vancouver in 2019. It’s also the second in a week. On Tuesday, 70-year-old Patricia Gamboa was hit and killed while crossing East Hastings Street at Commercial Drive. Friends and family gathered for a celebration of Gamboa’s life at 5 p.m. Saturday. Since her death, condolences and support have come in from around the world, Gamboa’s son Rodrigo Ardiles told CTV News. Ardiles said Gamboa was an educator who fled the dictatorship in her native Chile in 1975. She had only recently settled in Vancouver, but she was passionate about learning about the city, its history, and the Indigenous communities that have always called it home. Ardiles said it was incumbent upon Gamboa’s loved ones to carry on her legacy of education, including by educating drivers to be more cautious, to only drive when fully alert, to take their time, and to watch out for pedestrians like Gamboa. “My mother deserves an honourable memory and an honorable lesson for this community,” Ardiles said.